The front end of a Harley Davidson on a building in Las Vegas, Nevada. Harley Davidson, Vegas Strip, Las Vegas, Nevada, USA, North America. 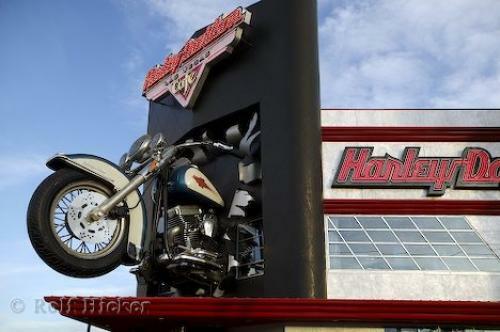 Photo of the motorcycle above the entrance to the Harley Davidson Cafe in Las Vegas, Nevada, USA.